Exciting news! 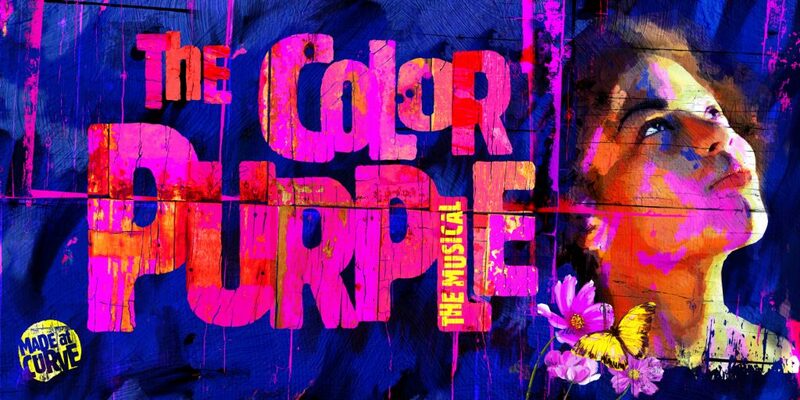 Birmingham Hippodrome and Leicester’s Curve theatres will join forces to co-produce Broadway musical The Color Purple, based on the Pulitzer Prize-winning novel by Alice Walker. The production, the first to be created outside of London in the UK, will run at Birmingham Hippodrome from 16-21 July 2019. The Color Purple will be directed by Tinuke Craig, winner of the 2014 Genesis Future Directors Award. Tinuke’s recent credits include random/generations, a double bill of plays by debbie tucker green at Chichester Festival Theatre and I Call my Brothers by Jonas Hassen Khemiri at the Gate Theatre. The announcement comes as both theatres celebrate significant milestones, with Curve turning 10 this year while the Hippodrome will mark its 120th birthday in 2019. Speaking about the co-production, Curve’s Chief Executive Chris Stafford and Artistic Director Nikolai Foster said: “The Color Purple celebrates remarkable women, telling incredible stories. From its Pulitzer Prize-winning author Alice Walker, her courageous creation in heroine Celie to Oprah Winfrey – who had the vision to make the story into a smash-hit Broadway musical. And we are thrilled to introduce our equally astonishing director Tinuke Craig and welcome her to Curve. “As we embark on our second decade as a theatre here in Leicester and our friends at Birmingham Hippodrome celebrate their 120th year, our co-production of this beautiful, moving musical feels like a fitting way for us to mark these celebratory years. Fiona Allan, Artistic Director and Chief Executive of the Birmingham Hippodrome said: “This is the very first time that Birmingham Hippodrome has actively co-produced a main stage musical, and we could not have better partners than Chris Stafford and Nikolai Foster at Curve theatre, and director Tinuke Craig. Tickets go on sale to Birmingham Hippodrome Friends on Thu 23 August and on general sale from Wednesday 29 August – click here for more information on becoming a Friend and to enjoy priority booking.